What is Heat Soaked Glass? Heat Soaked Glass is tempered glass with an additional heating process to reduce the possibility of spontaneous breakage of glass. Tempered glass can rarely break without provocation due to an impurity called NiS(Nickel Sulphide) in raw float glass. Heat Soaked glass does not break spontaneously and is extremely safe. Large scale elimination of Nickel Sulphide(NiS) in tempered glass. It is 4-5 times stronger than normal annealed glass. Reliability of heat soak test to as high as 98.5%. Breaks into small, relatively harmless fragments with no jagged edges or sharp corners. WHAT IS SPONTANEOUS BREAKAGE ? 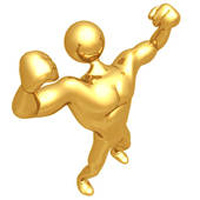 In various situations fully tempered glass may break for no reason or provocation. Many factors might cause such spontaneous breakages, but the most common are nickel sulphide inclusions. Nickel sulphide inclusion, also known as NiS, occurs during the manufacturing process for float glass. In the glass batch, nickel-rich contaminants such as stainless steel might be present, and then combine with sulphur to form nickel sulphide inclusions. These inclusion cannot be seen or identified in the fully formed glass. wHY IS HEAT SOAKING DONE ? Heat Soaking is done to reduce or nearly eliminate the on site breakages due to NiS. This is normally done for critical areas where spontaneous breakage can be a potential hazard. dOES HEAT SOAKING guarantee NO SPONTANEOUS BREAKAGE ? 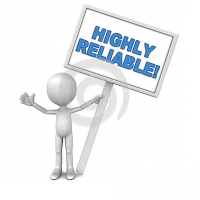 Heat soaking does not guarantee, that breakage will be completely eliminated in installed tempered glass, which reduces the chances drastically studies have been conducted world-wide indicating the reliability of heat soak test to as high as 98.5%. DOES HEAT STRENGTHENED GLASS REQUIRE HEAT SOAKING ? No, Heat Strengthened Glass does not require heat soaking. cAN ANY THICKNESS OF GLASS BE HEAT SOAKED ? 4mm to 19 mm thick glass can be Heat Soaked. WHERE TO USE HEAT SOAKED GLASS ? 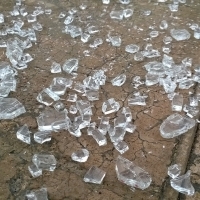 Heat Soaked Glass normally used in critical areas where spontaneous breakage can be a potential hazard. How do we know the glass is Heat Soaked ? It is impossible to know that the glass is Heat Soaked or not by seeing or touching. Although, GSC Glass provide detailed report(including graphical representation) of each and every Heat Soaked cycle to show that the glass is Heat Soaked. How to identify spontaneous breakage ? 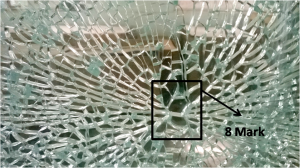 Spontaneous breakage in glass can be identified by seeing 8 mark on glass or a pair of adjacent hexagons, known as a butterfly pattern, that borders a nickel sulfide inclusion. what is NiS (Nickel Sulphide) breakage ? NiS (Nickel Sulphide) inclusions change their structure and volume during the heating process of tempering. This changed state is ‘trapped’ during the quenching process. So at room temperature, the NiS inclusions tend to change back to their original state, which having bigger volume, cause spontaneous breakage. This changing back of state could happen in a few minutes to a few years, making it unpredictable when tempered glass may break. 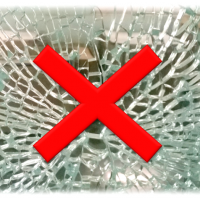 Is a spontaneous breakage is a glass processing defect ? No, it is not a glass processing defect. 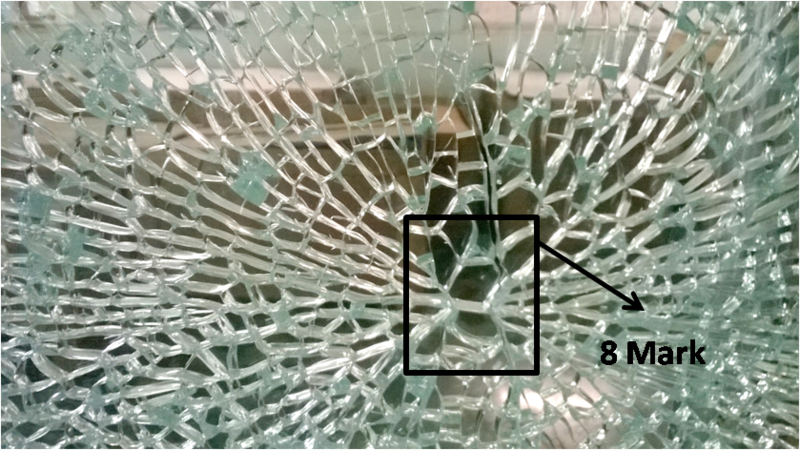 It is a raw material defect because of Nickel sulfide inclusions (“stones”) can be present in the glass. The most common cause of these inclusions is the use of stainless-steel machinery in the glassmaking and handling process. Small shavings of stainless steel containing nickel change structure over time and grow, creating internal stresses in the glass.